Lecturer in Game Design in Singapore Polytechnic. The Orktimus Prime is a pretty amazing mod. How did you get the idea for this or what made you want to do it? How long did it take to put together the whole thing from start to finish? The building itself didn’t take very long, probably about a month or 2, in between other works. What took a long time however, was getting the courage to sit down and paint it. 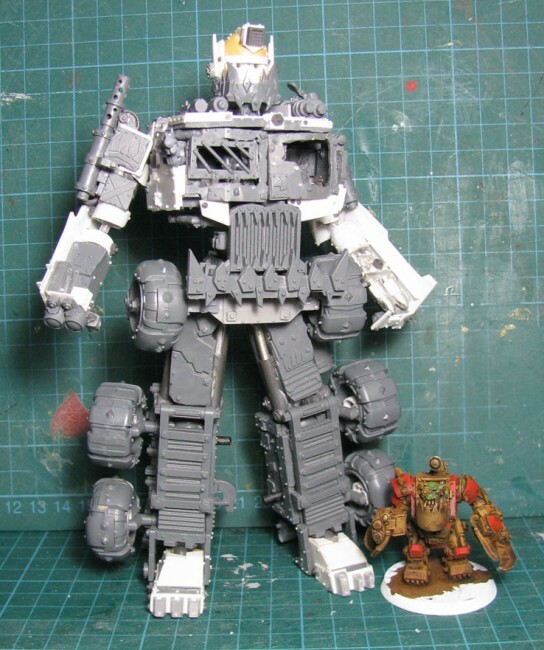 What was the hardest part of putting together the Orktimus Prime? Painting it. I don’t really like painting. And I didn’t want to damage the model with it. But it needed to be completed. 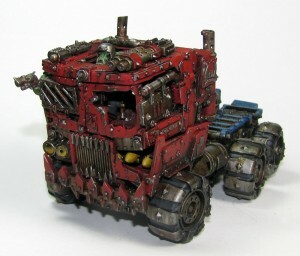 The Orktimus Prime was based on the Ork Trukk, but did you use any additional parts from other models to put this together? If so, what extra pieces did you use? The only ‘non-GW’ parts are the ball joints, magnets and plastic rod. The joints are from 3rd party Gundam compatible parts (such as Kotobukiya’s M.S.G. Series of parts). 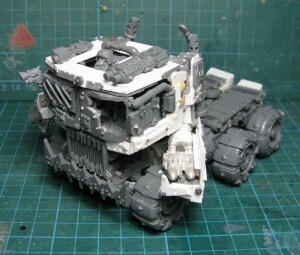 The overall conversion scavanged parts from 1.5 ork trukk kits. Was introduced to the hobby by a friend from way long, but officially started in ’97. Besides 40k, some computer games here and there (love DOW1 and 2 of course). Random stuff. But in terms of tabletop wargaming, only 40k. Erm… working at night is fun? Music, Discovery Channel/History/Natgeo etc. usually. I like hanging out, doing hobby stuff with friends, so I do a lot of my painting (and some modeling at times) in my LGS (Paradigm Infinitum), but otherwise most of the modeling stuff I do at home. What are some of your influences or where do you draw your inspiration from? Obviously Transformers was an influence with Orktimus Prime, but are there any other books, movies, art, or other sources that have had an impact on your work? Whose work has had an impact on you and your projects? To be honest, I have no idea. I do what I like, and what I want, so all of them are my favourite pieces. My current favs besides Prime are my Modern Heresy-style Vanguard, Sternguard, Mk1&2 Landspeeders, my Captain(Now with non-chappie parts) on stolen-and-converted-MotRW-jetbike and my trench table. 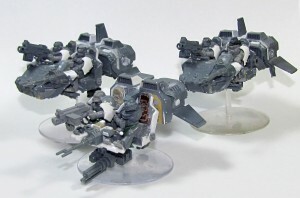 Oh and the SM painter(s) on BnC (I didn’t do the ork). Hmmm tough one. I do really like an Ork Dino Deffdread a friend did recently. Hmmm… Any new technique is difficult to learn. Advice? Practice. But practice the right stuff. Experiment, and ask those who have done it before you for advice, so you can skip some steps so you can move along faster. Don’t be stubborn and move with the flow. Painting armies fast I suppose. Painting my marines at the moment and orks. 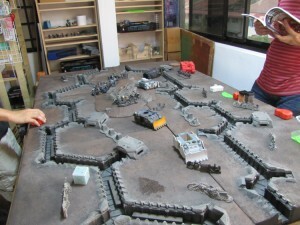 Dream project… since the trench is somewhat done, probably a 40k compatible space hulk terrain board? No tricks really… Oh GS doesn’t work with water (don’t listen to anyone saying water is good… it really isn’t). Vaseline is good. Don’t bend plastic card when you can get plastic rod/tube which is already curved. 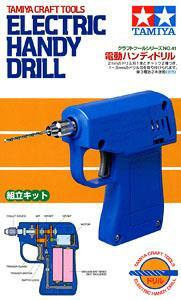 Dremels and electic screwdrivers(great for drilling) are fun, or failing that, Tamiya Hobby drills are great. Sandable putties such as Tamiya Epoxy Putty Quick Type are awesome. Don’t limit yourself. Thank you to madscuzzy for the interview! 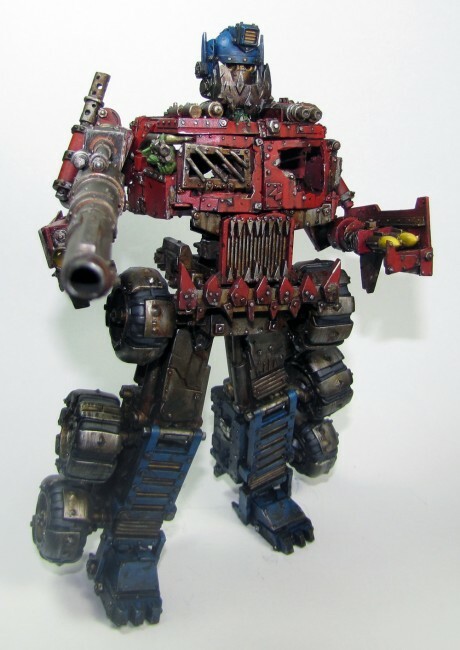 I hope you like the Orktimus Prime as much as I do. 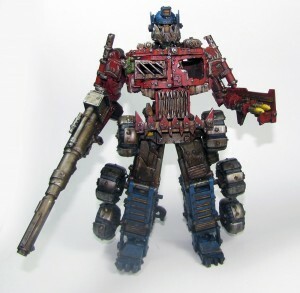 Check out the full thread of Orktimus Prime finished pictures or the Orktimus Prime work in progress pictures. If you are looking for more miniatures pictures check out our member galleries. 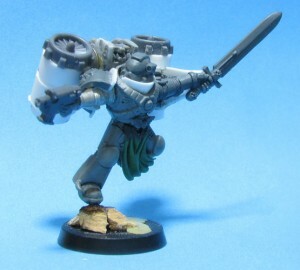 This entry was posted	on Saturday, November 20th, 2010 at 11:48 am	and is filed under Interviews, Miniatures. You can follow any responses to this entry through the RSS 2.0 feed. You can leave a response, or trackback from your own site. 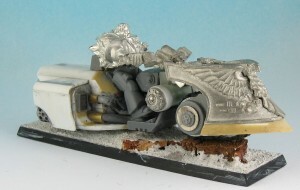 Wow, exceptionally cool model conversion work ! How about you show us some of Dom’s drawings ? I am a very big fan of this models. Seen it a while ago and I am still amazed now as I was since then. Is the model anywhere in display (like a shop or something) or is Dom keeping it at his home? Absolutely AMAZING! Thanks Svenn for the wonderful interview. And to you madscuzzy… I don’t know what a “scuzzy” is supposed to be, but you are definitely MAD! In a great sense! Your attention to detail is noteworthy of my favorite compliment… your model is DeafNalistic!!!! Thanks for sharing your art and creativity with the world. We ALL appreciate your great effort and congratulate you on a magnificent museum piece! My only question is what does he count Orktimus in the game? 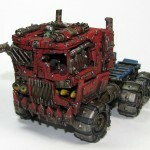 its a trukk, but it transforms and could be considered a Stompa… or is it both?